Mr. Micawber Enters The Internets: How to start something new--or old, again. I can't quite decide if certain book trends are like fashion in that everything old is new again or if it's more like the current fascination with knitting/crochet and things skip a generation. Whatever it is, it is being shown in publishing trends. Books on beekeeping, canning, local and/or organic food, slow-cookery and all manner of 'green' living have been popular for a few years now. So much so that we finally decided that these books didn't really fit best in our Cookbooks, Current Affairs or Nature sections. So we have a new Sustainability section. It is a lot like Cultural Studies in that it is a mixed bag. The interesting question, to me, is what caused this surge in interest? Was the recession(over? almost over? in the middle? )the tipping point that forced a large percentage of people to re-think their monthly costs and how they shopped and consumed both goods and food? Is the Do-It-Yourself movement simply a part of that or a larger desire for people to be more connected to their homes and the items within? Is it part of a fad trending all things Americana: music, fashion, design, etc. I'm no cultural anthropologist, but it seems to be some combo of all of the above. So our new section combines elements of all these categories and it happily combines some new, young, voices with older, respected, ones like Wendell Berry and Wes Jackson. 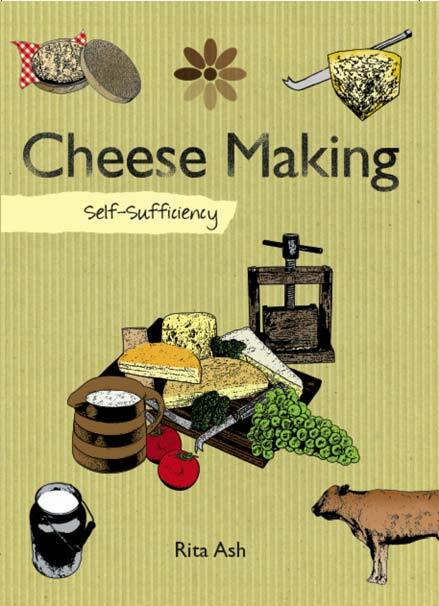 Yes, we have sold several copies of the cheese book. 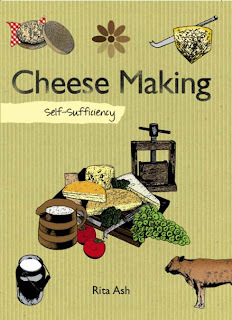 Skyhorse Publishing has a nice series of self-sufficiency books for $12.95 in hardcover. You don't have to make too many pounds of cheese to get that kind of money back.